About this post: Ever since I embraced a digital nomad lifestyle, I’ve been on the lookout for digital nomad destinations around the world. 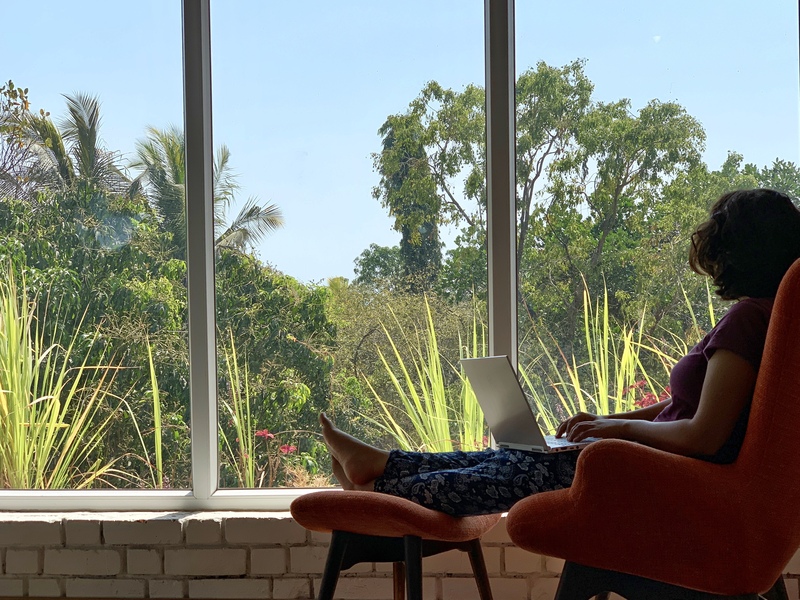 From Guatemala to India, these are my unusual picks for the best digital nomad cities and offbeat digital nomad locations in 2019. I often lament being born a few decades too late. Of missing out on a time when most places around the world were still pristine, the original hippie movement was still taking shape, overtourism wasn’t a thing, plastic wasn’t a menace and the impact of climate change wasn’t so evident. But then I have to remind myself that my digital nomad lifestyle, one that allows me to spend long stretches of time working online from different parts of the globe – probably wouldn’t have existed either. Over the past 5 years, since I gave up one place to call home, I’ve been lucky enough to spend a month or two slow travelling in quaint Himalayan hamlets, hip European cities, the stunning Caucasus region, Latin American villages steeped in the Mayan tradition and tropical Southeast Asian valleys with rice paddies. My neighborhood in old Tbilisi. Back in 2014, well before Georgia found its way to the tourist map, my partner landed an internship in its gorgeous capital city Tbilisi – and I was sold at the idea of basing myself there for a while. It was love at first sight, not only with the warmhearted locals, but also with the hills and canyons that surround the city, the delightful vegan-friendly Georgian cuisine, the local music scene and the shire-like way of life. The best part was the incredible Georgian countryside – the snow-capped Caucasus mountains, the rolling vineyards, the stark Black Sea coast – just a short and affordable mashrutka (mini bus) ride out of the city. When I revisited in 2017, I was amazed to see that creative cafes, co-working spaces, and international restaurants have sprouted up across Tbilisi, without taking away from its unique heritage. Go while it’s still on the verge of being “discovered” by digital nomads. Also read: If You’re Looking for the Shire, Come to Georgia! My incredible abode by Lake Atitlan, Guatemala. Lake Atitlan appeared quite unexpectedly on my “digital nomad” radar during a solo trip across Guatemala. Immersing myself in its stellar beauty, I found a little paradise that has drawn me back every other year. Unlike the rest of the “modern” world, this is a place where you can still live away from the chaos of traffic and cars, go grocery shopping on a boat, wake up to a pristine lake in your backyard, immerse in what remains of the ancient Mayan culture and watch a volcano erupting in the far distance – yet have access to decent internet, vegan-friendly cafes, yoga classes, live music and a community of people who embrace mindful living. Everything I loved about Hpa An in one frame! Much like Lake Atitlan and Tbilisi, I fell instantly in love with Hpa An (pronouced pa aan), a small town typically used as a jumping point between Myanmar and northern Thailand – but really a perfect place for digital nomads seeking to get away from other digital nomads! Hpa An charmed me with its rugged karst mountain scenery, spectacular sunrises, old Buddhist temples, ethnic traditions, riverside beauty and the ease of discovering it all on a scooter. It bust the myth that internet in Myanmar is bad; instead I found that data is very cheap and 4G works well in most places. Charging points in outdoor cafes are still a bit hard to come by, but now that I’m travelling with my newly acquired MSI PS42 laptop which has ultra-long battery life, I’m not restricted by that anymore. And unlike the rest of Southeast Asia, I found it easier to connect with locals, many of who speak English, having once been colonized by the British. Greenery, music and peace in Auroville. Now that I look back at my past travels, Auroville – a somewhat utopic township near Pondicherry in Southern India – was one of my earliest digital nomad discoveries in India. In the bubble of Auroville, I spent my days on a bike or bicycle, exploring the forested terrain, organic farms, healthy eateries, movie screenings and permaculture workshops. The Matri Mandir – the spaceship-like structure at the heart of the township and a most peaceful space for meditation – left me in complete awe. What I loved most was crossing paths with many passionate people of all ages and nationalities who came to Auroville seeking an alternative way of life. Doctors turned organic farmers, policemen turned artists – for this is a place that allows you to rediscover your purpose in life, and perhaps subconsciously led to my embracing a digital nomad lifestyle. Circa 2013, wifi was only available in Auroville until 6 pm, which meant I had to fight the usual distractions and wrap up my work by the evening; I’ve heard internet is more readily available now – for better or for worse! Digital nomad-ing with my new MSI PS42 in Chiang Mai. I know, I know, a digital nomad in Chiang Mai sounds so 2014. There’s no doubt that I’m many years late to the awesomeness that is Chiang Mai, but the good news is, the magic hasn’t faded away entirely yet – especially if you live away from the city and popular neighborhoods like Nimman. Over 2017 and 2018, we spent 2.5 months in Chiang Mai, living in a beautiful self-catering abode next to hills and rice paddies. There’s superfast wifi, of course, but also evening runs under the pink sunset sky, bike drives under the stars, hikes up to peaceful monasteries, incredible vegan food, hipster cafes, local organic farmer markets, foreign language movie screenings, cultural events, co-working spaces and some totally under the radar escapes deep in the mountains and forests of northern Thailand. All this without having to break the bank! 2019 dream: To live and work in the Slovenian Alps! I’d go back to each of the above spots in a heartbeat, but in 2019, I’m hoping to expand my digital nomad comfort zone by spending a month or two in Yerevan (Armenia), Cape Town (South Africa) and somewhere in the Slovenian Alps. And who knows what unexpected surprises the road will throw up along the way? What are your favorite digital nomad spots, and where do you hope to make it in 2019? *Note: I wrote this post as part of a campaign with MSI. Opinions on this blog, as you can tell, are always mine. Join my digital nomad adventures around the world on Instagram, Facebook, Twitter and Youtube. thanks for sharing this article and keep doing well. Hi Shivya ! Love the post. I too want to live the digital nomad lifestyle one day and travel blog. I’m still a student in India and you know how difficult it is for us to travel on our own or even with our family especially if you have working parents .However I’m playing the tourist in my own town and exploring my own hometown of Darjeeling . Lovely write up. And Pudicherry is high on my list for a future trip to India! So many ideas come hitting the mind everytime I read a new post. Where in chaing mai is the place you stayed at? Could you share the details? Loved the title “Digital Nomad”….I am not sure I can be digital nomad like you…but will definitely try to become an inch like you. Thanks Shivya for all the blogs that you made me read which inspired me like how!! Simply loved the blog. Its actually exciting to know about your experiences at different places. I would definitely second you on Auroville, Puducherry though I have just visited once that too for a short while. Hope that your blogs keep me motivated to travel around and discover myself. Such an amazing post! Thanks for sharing! Love the list. I think I am in the same apartment right now at Lake Atitlan in Guatemala as you were. Such an amazing place to stay. I have been coming here for years and never get tired of that view. All these places are great. I have been to only “Auroville” so far. I prefer any peaceful calm place near to the Ocean or Forest. Thanks for the list, will check it out. If you could revisit any one of these places again for work which one will it be? Terrific post! We’ve had different but similarly fulfilling experiences: on lake Atitlan we stayed in San Pedro and loved the town feel as opposed to the solitude. Same in Chiang Mai where we favored the bustle of the city. The beauty of those places is that you can get either…or both! Georgia and Bulgaria are on our short list for this spring, so thank you for the inspiration. Hello Shivya, I like your choices of countries for 2019. Can you suggest a budget friendly accomodation in Tbilisi, Georgia? Lake Atitlan, Guatemala seems the bet for the digital nomad. Thank you sharing this article. I am student and would love to explore like you do. I was great joining you digitally. Enjoyed reading. Planning to visit the mentioned places soon. Previous PostWhat Indian Cities Can Learn About Green Tourism from Copenhagen. Next PostMyanmar Visa on an Indian Passport: A Quick and Easy Guide.